may be some amibroker versions not supported. u can try below link.incase not comming try amibroker 5.40 version. now you get it ???? traderami, I am not talkin about this "Axes ..." tab. This one is in preferences. 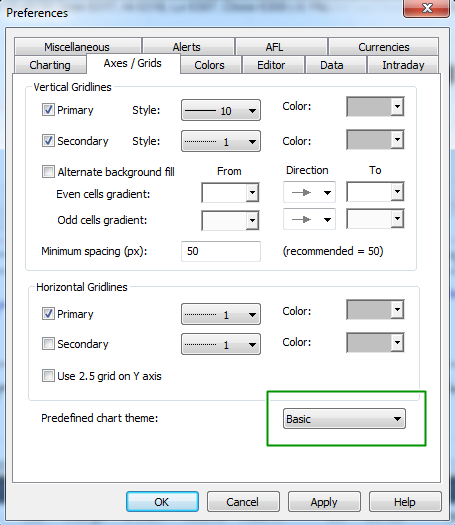 I want you to post the one that shown to right of Parameter which you get by right clicking on the chart itself. Both tabs have same name but different functionality.